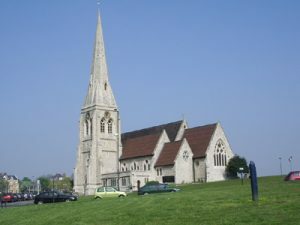 Blackheath is a district of South East London, within the London Boroughs of Lewisham and Greenwich. It contains one of the largest expanses of common land in Greater London, with 85 hectares of protected commons. Blackheath can be reached by car via the A20 and A2. Blackheath is well served by public transport and Blackheath railway station offers regular services to London Charing Cross and London Victoria. Lanes School of Driving first opened in 1914. Since then we have been teaching successive generations to drive and have established a reputation for quality and excellence. At Lanes, we appreciate that each pupil is different and lessons are adjusted to suit. Intensive driving courses are Lanes’ speciality. Theory lessons are also offered, either as a separate course or as a component of a practical course. After passing their driving test, pupils can undergo further instruction with after pass courses including: Pass Plus, Motorway Driving, Parking Skills and Advanced Driving. Lanes approach to instruction is very flexible. Pupils can book lessons to suit their schedules, either as part of a weekly course, or as a one-off. Lanes provides one on one lessons for each pupil. In our experience this ensures that our pupils have the undivided attention of their instructor, ensuring a better learning experience. Lanes has a selection of up-to-date and high quality vehicles for pupils to use. Pupils can be collected by their instructors from their doorstep and returned home after every lesson. Lanes have been providing driving lessons in Blackheath, London for many years. Please call us today on 020 8166 5678 or click here to send us an email via the contact page. Lanes has over 40 driving instructors available. Pupils can choose the instructor best suited to their needs. Our instructors are accustomed to teaching to a wide range of ages: from 17 to 70 and more. Do not worry if you feel nervous: our instructors will make you instantly feel at ease. All of our instructors are DSA registered Approved Driving Instructors. Pupils are guaranteed the same instructor for the whole of their driving course. Lanes have a team of driving instructors in Blackheath, London. Please call us today on 020 8166 5678 or click here to send us an email via the contact page. Learning to drive for the first time can be very intimidating. Female drivers often feel self-conscious if partnered with a male driving instructor. Pupils at Lanes have the option to select a female driving instructor if they prefer. Our female driving instructors will make their pupils feel comfortable. They will allow pupils to make progress at their own pace in a relaxed learning environment. Lanes have a selection of female driving instructors in Blackheath, London. Please call us today on 020 8166 5678 or click here to send us an email via the contact page. Our students often express a preference for automatic cars. Advocates of manual cars will say that they allow greater control. Nevertheless automatic cars are definitely less intimidating for the learner driver. They are far less complicated to drive and, most importantly, they do not stall. Pupils will invariably make faster progress in an automatic car. Lanes have a selection of automatic driving instructors in Blackheath, London. Please call us today on 020 8166 5678 or click here to send us an email via the contact page.